Dartmoor is a young, fast growing gravity biking brand supporting some of the best riders out there. We create bikes, bicycle frames and parts - from bmx, through MTB dirt/street and 4x up to freeride and downhill - by the riders for the riders. Piotrek Krajewski has been the rider in the Dartmoor-Bikes team from the very beginning of the brand. Started with the riding the first edition of Two6Player frame, then passing to Quinnie and now ending with brand new Cody in a Miami Vice painting finish. He is one of the most experienced dirt riders in Poland and this season is his 10th anniversary in the dirt jumping world. He was born in Warsaw - capital of Poland and his life is a perfect example that for mountain biking there are no limits. This is state of mind and if you love it - you can do what you love no matter how far away it is from the mountains. Everything started for him at the Kazoora bike park at the suburbs of Warsaw. Maybe bike park is too much to say if you know how bike parks looks in Canada, USA or in Western Europe but for the very young Warsaw boys 10 years ago it was a place where they met together and built up with their own hands a place with the 4X track and a dirt jump spot. Kazoora is still his home spot now, and he is one of the main builders there together with Dirt It More crew. That place had the biggest impact on his riding style and progressing but this is not only about a place. It is first of all about his friends he met there - the first generation of dirt jumpers in Warsaw. Those are the friends who share with him the same passion for MTB freestyle riding. Quote Ride Your Way for him is the style of his life, because if you are infected with an extreme kind of sporting activity for a long time, your whole life is focused around this passion. That is what have happened to him - ten years of riding changed his attitude to the world and the way of percepting the reality surrounding him. It is the idea of being different from the crowd and looking at things the other way - your own way. Some ideas may become impossible but it is still better to be creative and fail from time to time than to be just a regular one for the whole life. Enjoy this episode and his understanding of #RideYourWay. 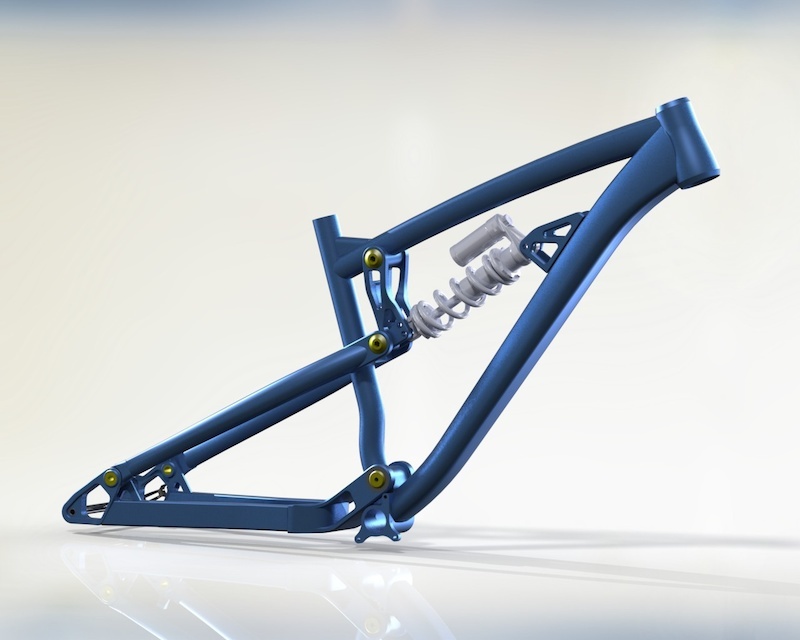 This new project is a freeride suspension frame from Dartmoor Bikes. Come up with a name for this frame (which will hit the market in 2014) and we will choose the best one. The winner will get the brand new Dartmoor Wish Pro 2013 complete bike.